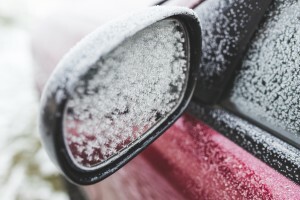 If you regularly warm up your vehicle each morning before driving or your car struggles to get going when it is cold, this article can help. Each time that your alarm sounds, you likely roll over and either hit the snooze button or turn it off completely, allowing yourself to get some more sleep or even just stay in bed and prepare yourself for the cold morning ahead. However, your car doesn’t always get the same treatment. As much as you enjoy a sleep in or even a hot coffee and a nice shower each morning, spare a thought for your car who you expect to get going without any of these benefits. Bill Rigdon has prepared the following article which can help you get better performance from your vehicle during cold mornings and also minimize engine wear. This article starts with a basic description of what happens inside your engine each time that you turn the key. As your engine starts, a range of metal parts is called into immediate action. These parts perform a range of actions, such as pulling, pushing, sliding, and even bumping against each other to keep your engine running. If you can remember anything from your high-school science classes, metal bumping against metal interacting results in friction, which works against your engine. Your engine parts are protected from friction by the engine oil you or your mechanic pours in and keeps topped up. This oil makes its way through your engine, coating each of your engine's parts along its journey, along with settling into intricate spaces inside your engine. Once settled, your oil facilitates smooth motion between each of your engine parts. This means that, instead of metal crushing or grinding against metal, each interaction is fluid and friction-free. Click here to buy Signature Series 0W-40 Synthetic Motor Oil and reduce friction in your engine with a synthetic oil change. To find out more about the benefits of a synthetic oil change, including a reduction in friction and improvement of your engine performance, check out the online store or speak with a friendly professional at Bill Rigdon by calling (503) 329-9004. The majority of motorists not only warm up their car each morning but also think that they’re helping it get a good start. And while on the surface the argument makes sense, given that you perform better once you’ve had a hot shower, it isn’t the same for your engine. If your engine oil is out of date or you are using conventional oil, cold weather causes it to retract from the intricate spaces mentioned above and gather in clumps around your engine. This leaves many of your engine parts unprotected and vulnerable to damage. In order for your oil to return to a consistency where it can once again do its job, it needs to be warmed up. As you have likely guessed, this means that when you are warming up your engine you are really warming up your engine oil. But What Is Protecting My Engine While It Warms Up? If your engine needs to warm up then there isn’t anything keeping your engine parts protected while your engine warms up. This leads to two problems. If you’ve ever heard your mechanic talk about engine wear then this could be the culprit. Without the protection of your engine oil, small pieces of each part are chipped away, leading to serious engine damage and parts which need to be replaced more often. Of course, these small metal pieces don’t dissolve. Instead, they travel through your engine’s fluid lines and become lodged in between engine parts. This can prevent these parts from doing their job properly, leading to a reduction in your engine performance. The easiest way to prevent the above from occurring in your engine is to give your car a synthetic oil change. By design, synthetic oil isn’t affected by cold weather. This means that, even as the temperatures drop, synthetic oil maintains its consistency and continues to protect your engine. When you turn on your engine in the morning, each part is immediately protected, removing the need to warm up your car before driving and reducing the instances of engine damage. To learn more, speak with an expert at Bill Rigdon by calling (503) 329-9004. Trust in their expert knowledge and extensive experience to give you the right advice and help you to find the best products for your needs.